Value 1,20 L. Eugenij Ionescu (1909-1994). 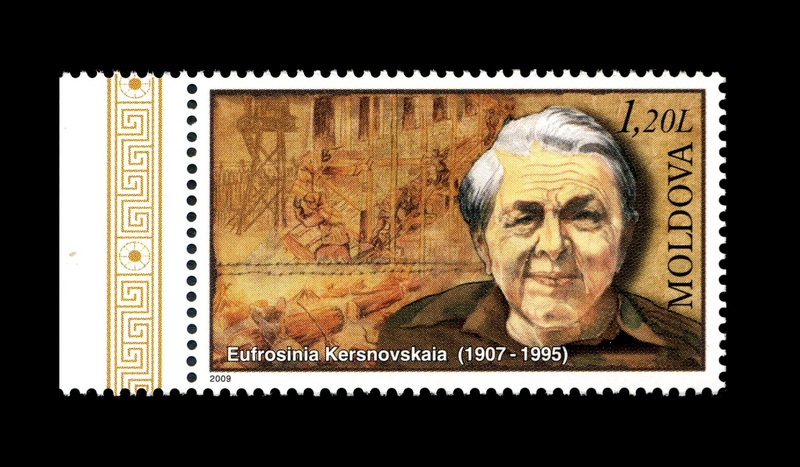 1,20 L. Efrosiniya Kersnovskaya (1907-1995). 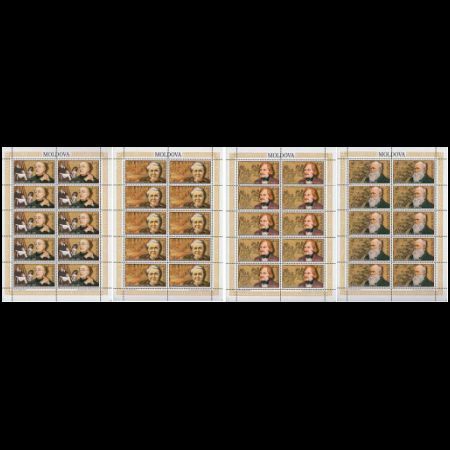 4,50 L. Nikolai Gogol (1809-1852). 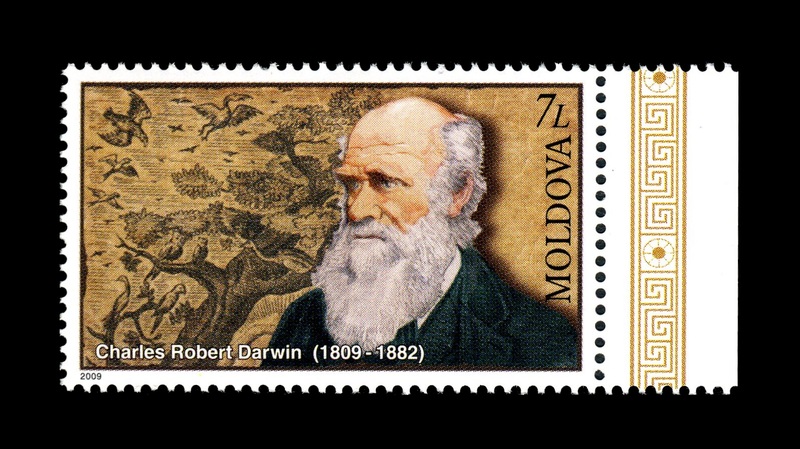 7 L. Charles Robert Darwin (1809-1882). 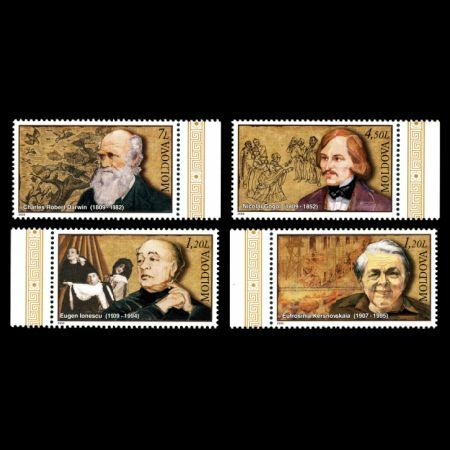 On November 26th 2009, Post authority of Moldova issued set of 4 stamps "Personalities" that shows some loacal and word wide famous persons, with Charles Darwin among them. 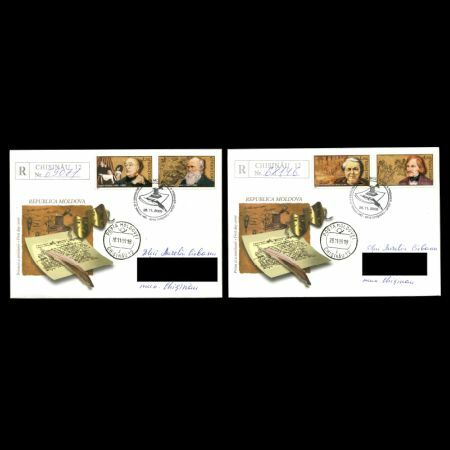 Charles Robert Darwin (1809-1882). was an English naturalist. He established that all species of life have descended over time from common ancestry, and proposed the scientific theory that this branching pattern of evolution resulted from a process that he called natural selection. He published his theory with compelling evidence for evolution in his 1859 book On the Origin of Species, overcoming scientific rejection of earlier concepts of transmutation of species. By the 1870s the scientific community and much of the general public accepted evolution as a fact. However, many favoured competing explanations and it was not until the emergence of the modern evolutionary synthesis from the 1930s to the 1950s that a broad consensus developed that natural selection was the basic mechanism of evolution. In modified form, Darwin's scientific discovery is the unifying theory of the life sciences, explaining the diversity of life. 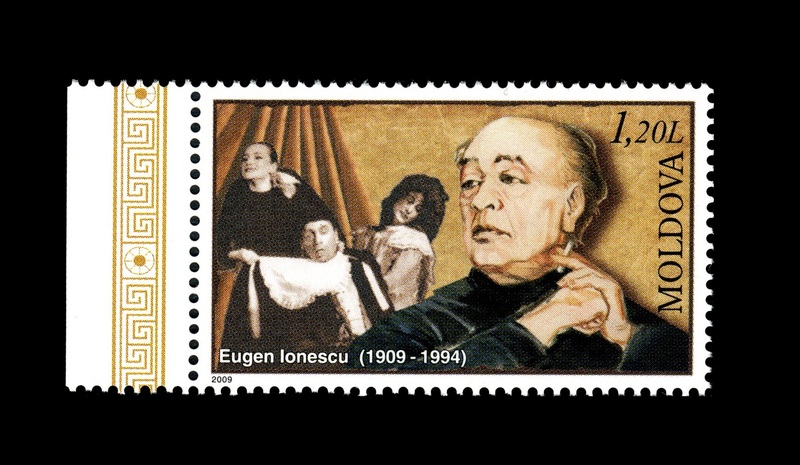 Eugenij Ionescu (1909-1994). 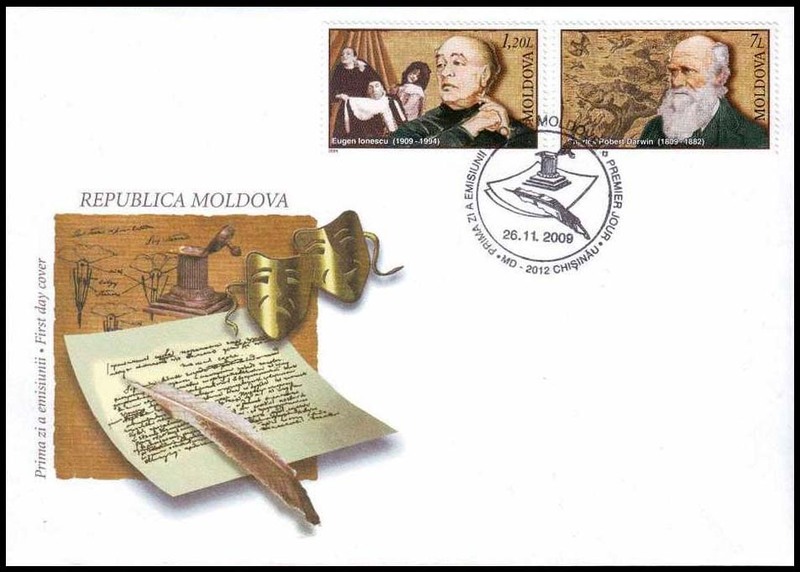 was a Romanian and French playwright and dramatist, and one of the foremost playwrights of the Theatre of the Absurd. Beyond ridiculing the most banal situations, Ionesco's plays depict in a tangible way the solitude and insignificance of human existence. was a Russian woman who spent 12 years in Gulag camps and wrote her memoirs in 12 notebooks, 2,200,000 characters, accompanied with 680 pictures. She wrote three copies of the work. In 1968, friends typed samizdat copies, repeating the pictures on the back sides of the sheets. Excerpts from the work were first published in Ogonyok and Znamya magazines in 1990, as well as in The Observer (June 1990). After that, German and French publications followed. 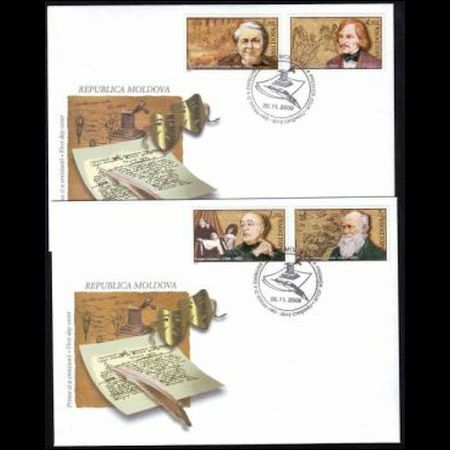 In 2001 the complete text, in six volumes, was published in Russia. 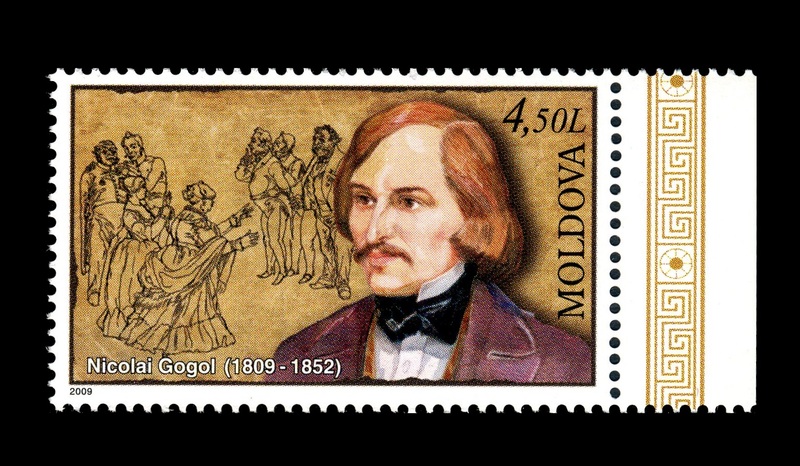 Nikolai Gogol (1809-1852). was a Ukrainian-born Russian dramatist and novelist. Considered by his contemporaries one of the preeminent figures of the natural school of Russian literary realism, later critics have found in Gogol's work a fundamentally romantic sensibility, with strains of Surrealism and the grotesque ("The Nose", "Viy", "The Overcoat," "Nevsky Prospekt"). His early works, such as Evenings on a Farm Near Dikanka, were influenced by his Ukrainian upbringing, Ukrainian culture and folklore. His later writing satirised political corruption in the Russian Empire (The Government Inspector, Dead Souls), leading to his eventual exile. The novel Taras Bulba (1835) and the play Marriage (1842), along with the short stories "Diary of a Madman", "The Tale of How Ivan Ivanovich Quarreled with Ivan Nikiforovich", "The Portrait" and "The Carriage", round out the tally of his best-known works.